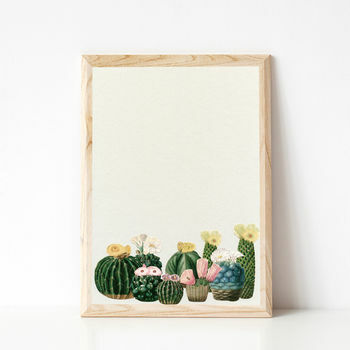 A pretty flowering cactus print. 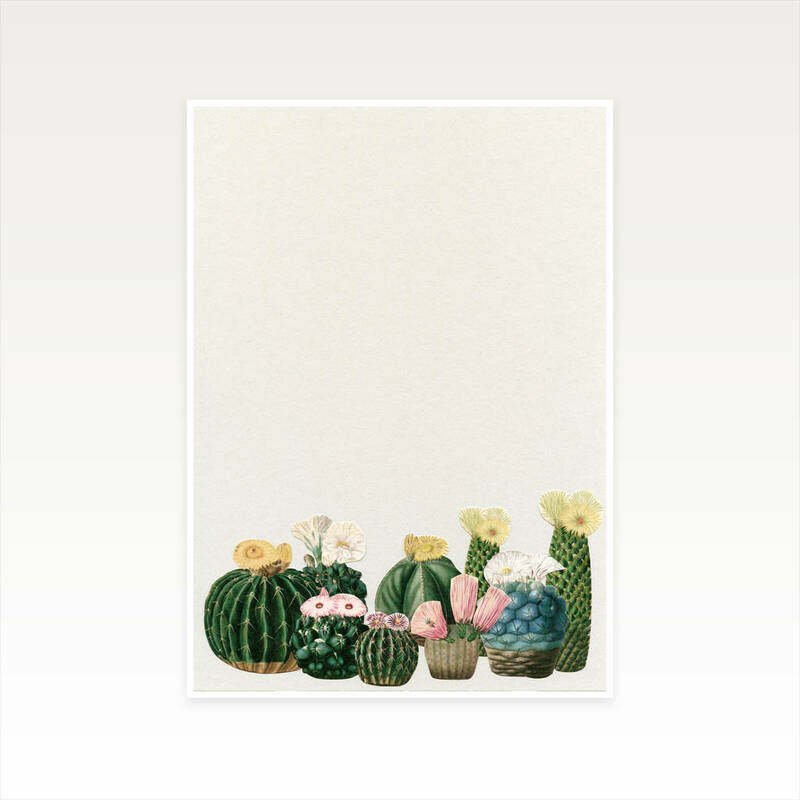 A beautiful array of cacti, some tall, some short, some flowering, some not. 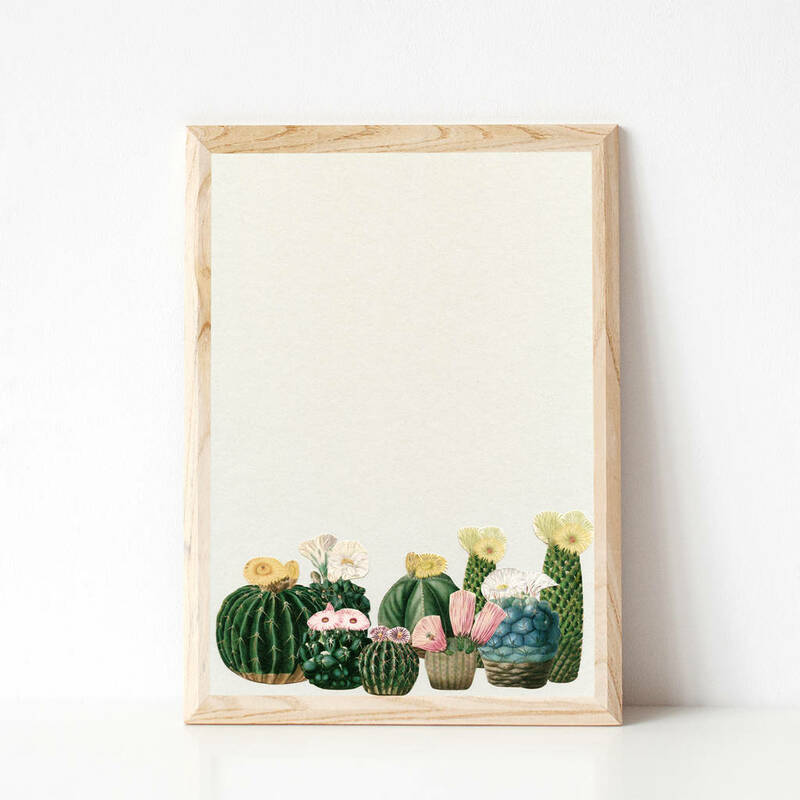 The perfect print for nature lovers. This print would suit both a rustic and a modern home. A real statement piece for both men and women.